Can the North Face Base Camp Duffel bags be used for hauling on a multipitch climb? Hi Louise, Although the North Face Base Camp Duffel bags are extremely robust and make great general use bags, they are not suitable for use as haul bags. There are too many straps to get caught on the way up, and the bag is not designed to be hauled up a rock face from a single point. A dedicated haul bag such as the Metolius Half Dome is a much better option. Hope that helps, Dave. Which are the lightest B3 rated boots on the market right now? Can you really heel hook in slip ons? 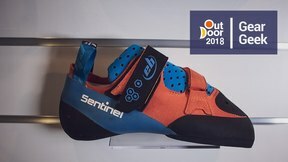 Why are some climbing shoes really curved? 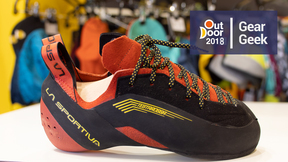 I have a small hole in the rubber of my climbing shoes, can I fix it without a full resole?